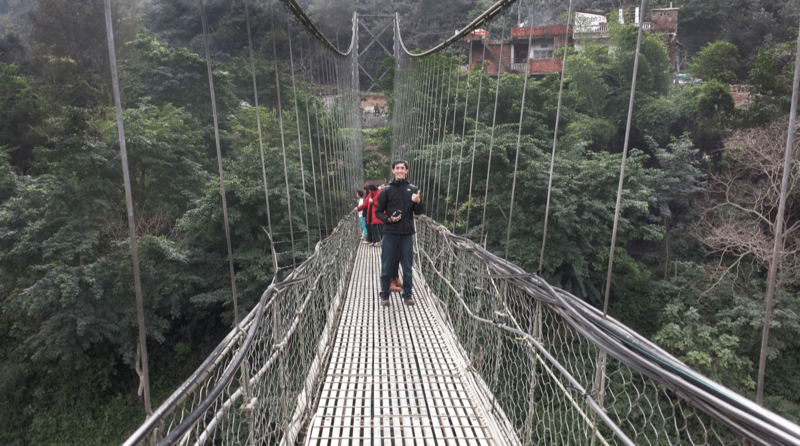 We woke up for breakfast at 7am in the morning and left Royal Singi Hotel at 8am after a night in Kathmandu. Don’t worry, we’ll be back again later. 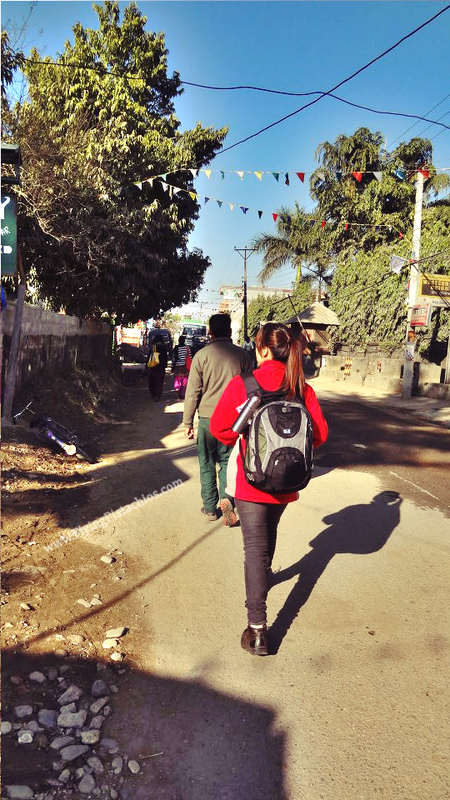 For today, we’re making our way to Chitwan – one of our favourite parts of the trip! The Chitwan National Park is one of Nepal’s UNESCO sites and is definitely worth a visit. 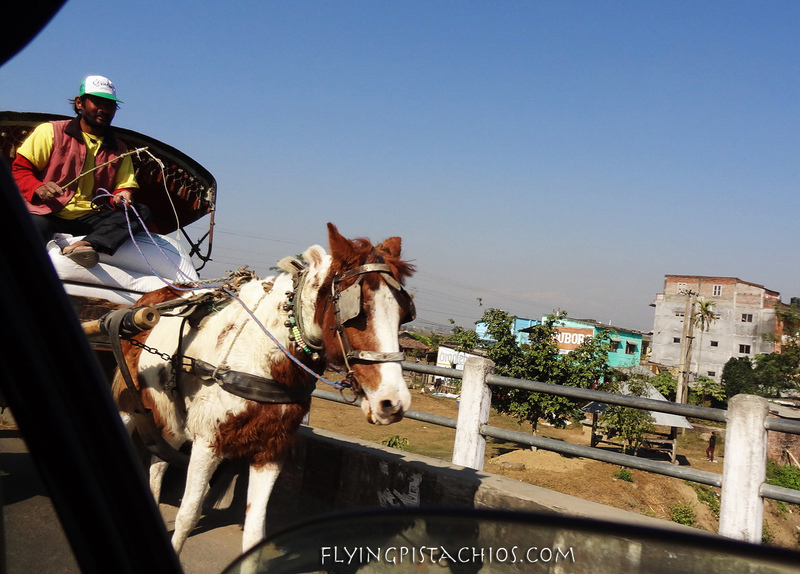 The journey from Kathmandu to Chitwan takes about 5 hours, barring any traffic jams. 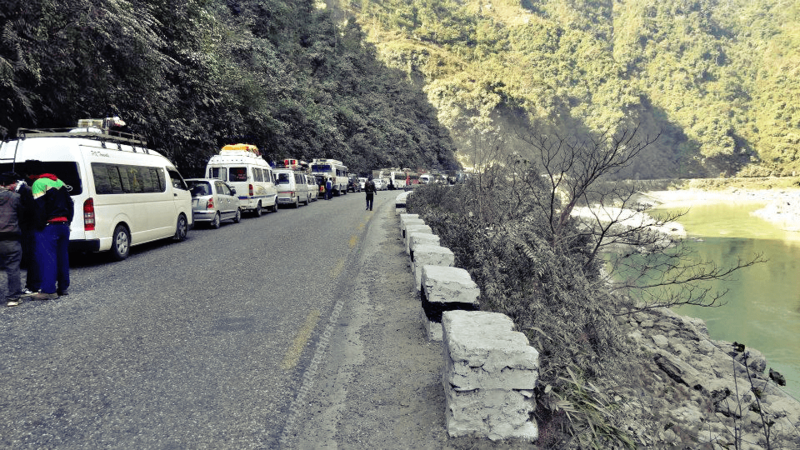 Traffic jams are a normal occurrence in Nepal, with traffic jams sometimes lasting for 3 days! 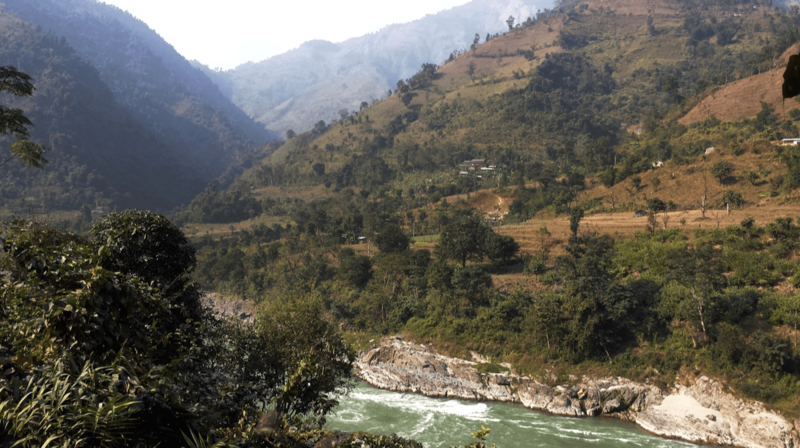 Breathing some fresh air amidst the 4 hours long traffic jam from Kathmandu to Chitwan. On the way to Chitwan, we’ll make a pitstop at our favourite stopover. This place has the absolute best Malasa Tea (so good it deserves Caps) we’ve ever tried. Masala Tea is basically black tea blended with spices and goes well with milk. This one was thick and delicious! 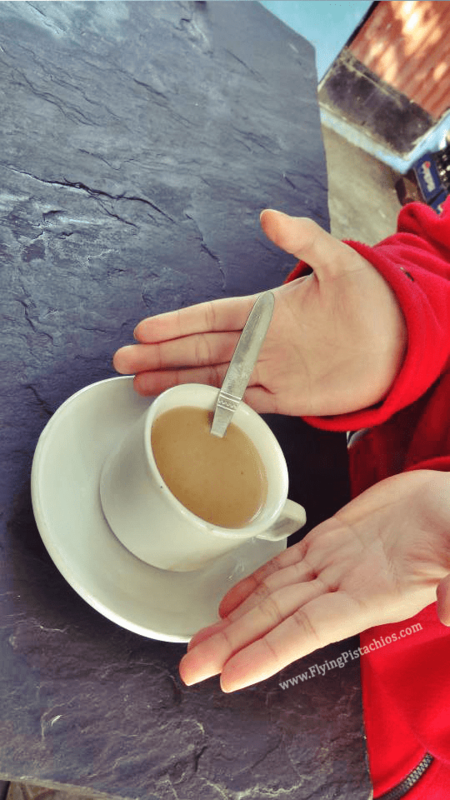 I was surprised to see oil in the tea and we thought butter was added to the tea to make it thicker. Turns out, nutritious goat milk from the nearby farm was used, giving it a slight layer of oil and a unique sweet taste. We usually order more than one cup per person during this stopover. It’s so good that one of our self-professed coffee drinker friend filled up her entire thermoflask bottle to go! I’ll usually have at least 2 cups before we hit the road again! A popular pitstop while exiting and entering Kathmandu. It is also one of our highlights – this place has the best Masala Tea! World’s best Masala Tea. Looking at it makes me crave for it! Goats reared at the farm just across the road. Across the road from this stopover restaurant is a tiny house that sells snacks. They seem to be farmers and also rear a herd of goats. 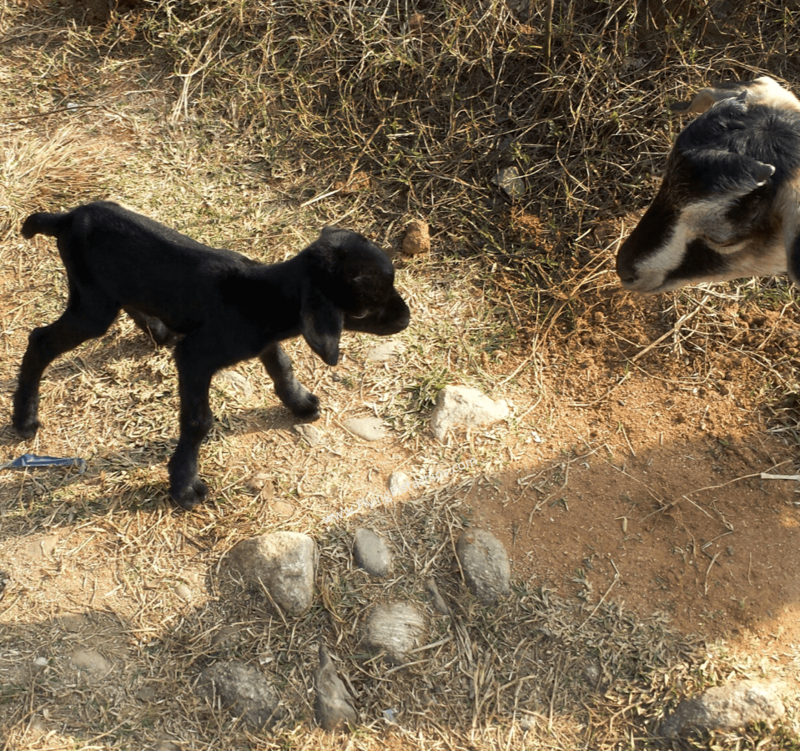 There was a baby kid goat that was a few weeks old when we arrived. The owner was happy to show it to us and let us pet it. Just a little side note, we actually went on this same 11 day tour 2 times and been to this stopover a total of 3 times. 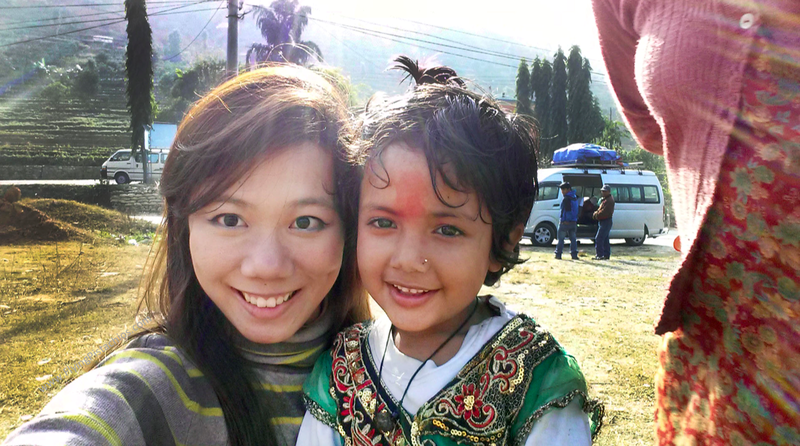 We met this beautiful Nepali girl whom Qi Yun have grown really fond of. 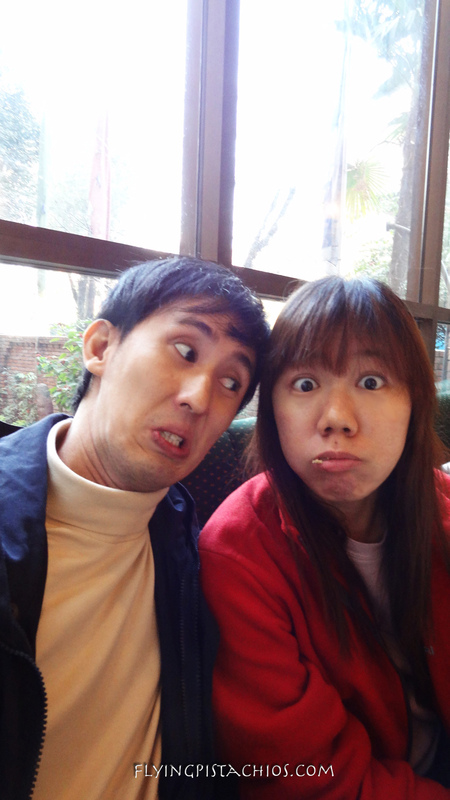 In fact, the little girl remembers Qi Yun and on the second year, they took a wefie together! Wefie on the second year! On the second year, we got to meet the little girl’s older sister. A beautiful soul. 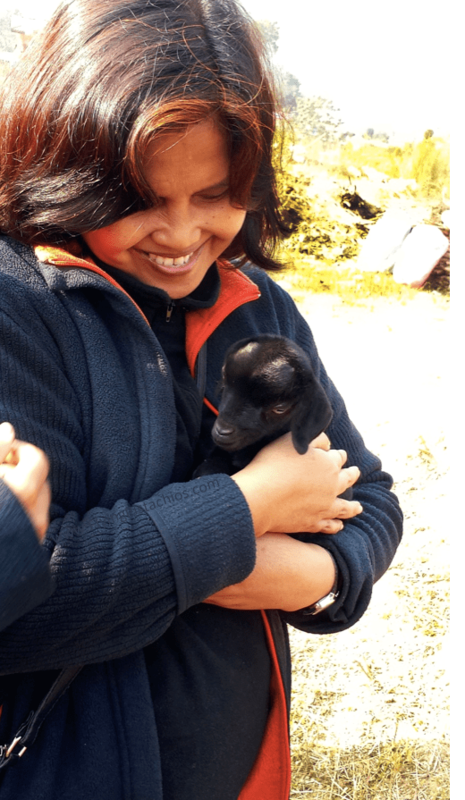 She is carrying a 3 day old goat kid here. Entering Chitwan area, we were greeted by great fields of yellow flowers – the mustang flowers. The flower is used to produce oil good for cooking and body application. There were so many farmers planting the mustang flowers and it was near harvesting season, covering Chitwan with a sea of yellow. Our driver, Ram, played host and started introducing parts of Chitwan to us. It was when we learnt that today was the last day of the annual Elephant Festival where we can catch the big creature race, kick football and then taking part in the pageant contest. By then, we only had 1.5hr to the end of the festival. From then it was a mad rush: we checked in, dumped our luggage in the room, attended the briefing, finished lunch in 15min, only to have the host trying to default the tour after lunch. Fortunately, a guide, Dave, who was sweeping the entrance floor, overheard our conversation and offered his service, so we walked very quickly to the festival. 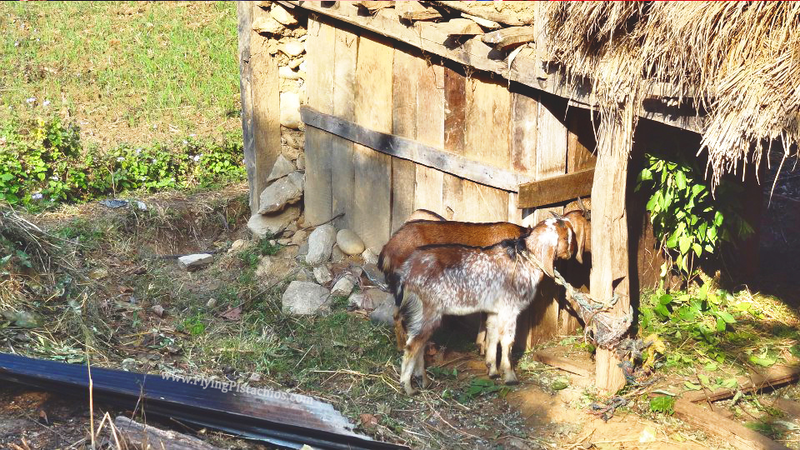 While the facilities of this place isn’t top-notch, it has a rustic feel to the place and serves some of the freshest food you’ll have in Nepal. Chitwan Jungle Safari Lodge is perfect for a forage to the Chitwan National Park. There’ll be a quick briefing to talk about the do’s and don’ts of trekking in the Safari. One interesting thing to note is NOT to wear bright coloured jackets during the trek, if possible. Animals from the Chitwan National Park are wild and might react more aggressive to bright ‘unnatural’ colours like red, yellow and orange. Bear this in mind when choosing your winter wear! After the briefing, we rushed off towards the Elephant Festival. The streets of Chitwan Safari seemed straight out of a novel. There were horses, cattle, chickens, dogs, goats and even small elephants traversing the streets in all manner of directions. Shawn was particularly amused and amazed to see vehicles and animals sharing the street. The annual Elephant Festival is held towards the last few days of each year and features a whole slew of elephant-related activities in a carnival atmosphere. Qi Yun loves this handy bagpack from HP – comfortable and packs everything! 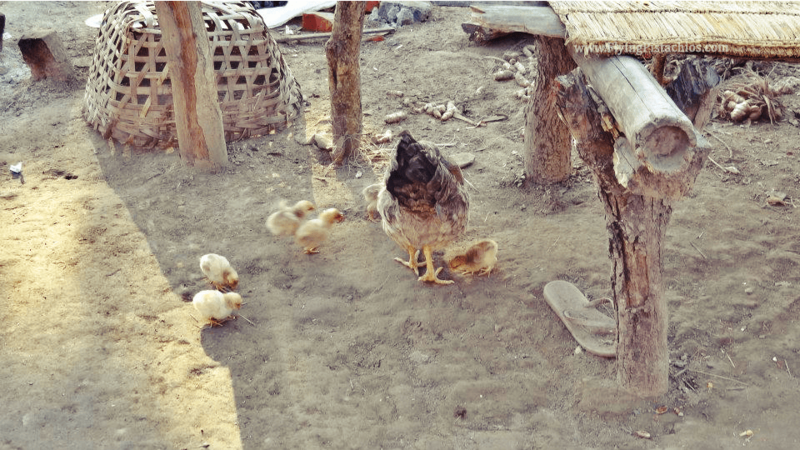 With chickens by the shop.. Arrival at the Elephant Festival!